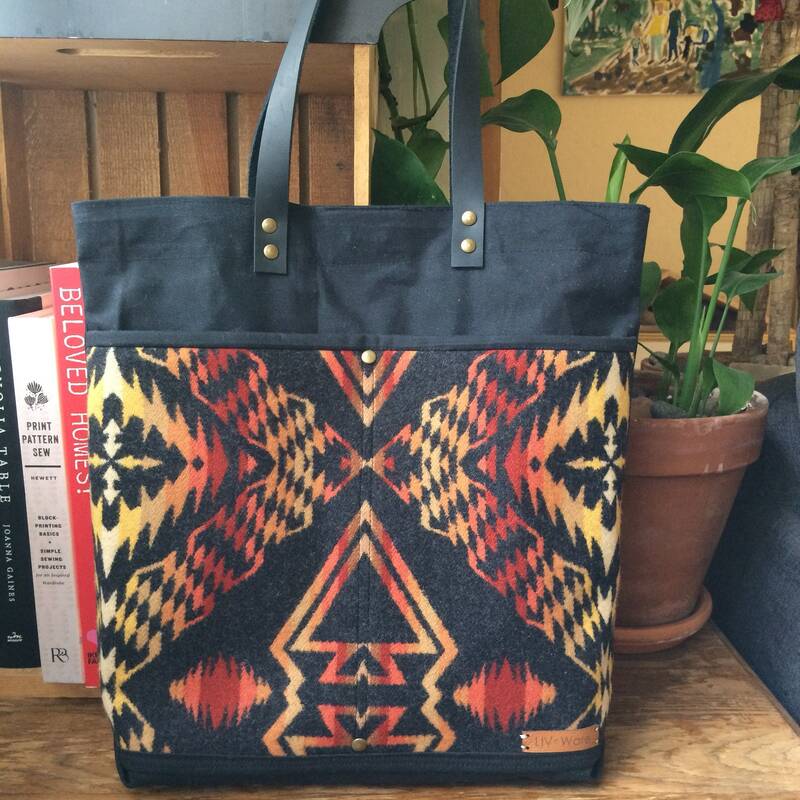 LIV*Ware Tote Bag, made with black waxed canvas, featuring two oversized exterior pockets made from Pendleton wool. 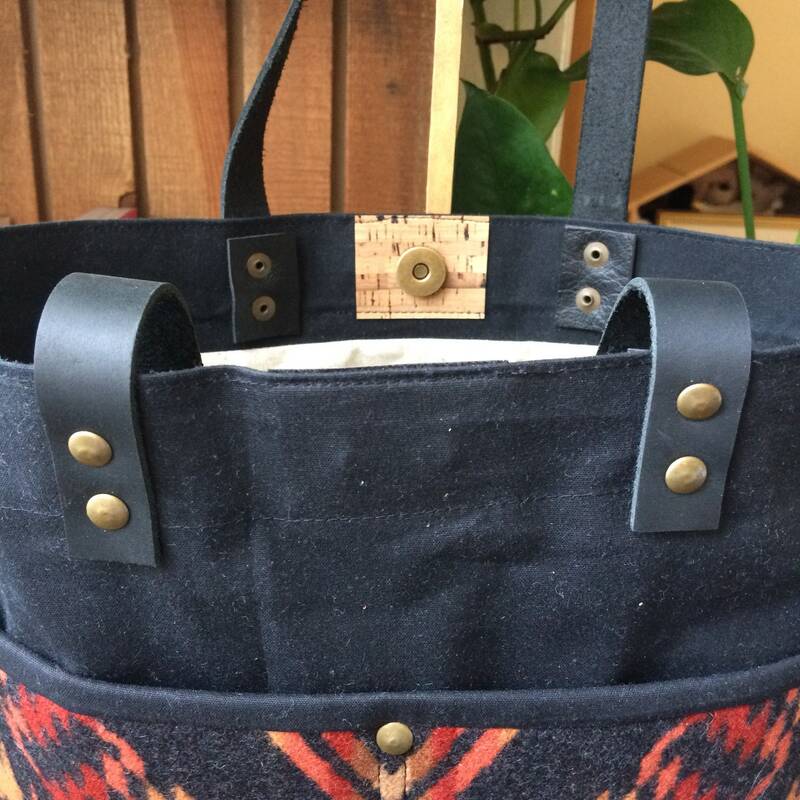 Leather handles that will soften with use, with about an 8” drop. 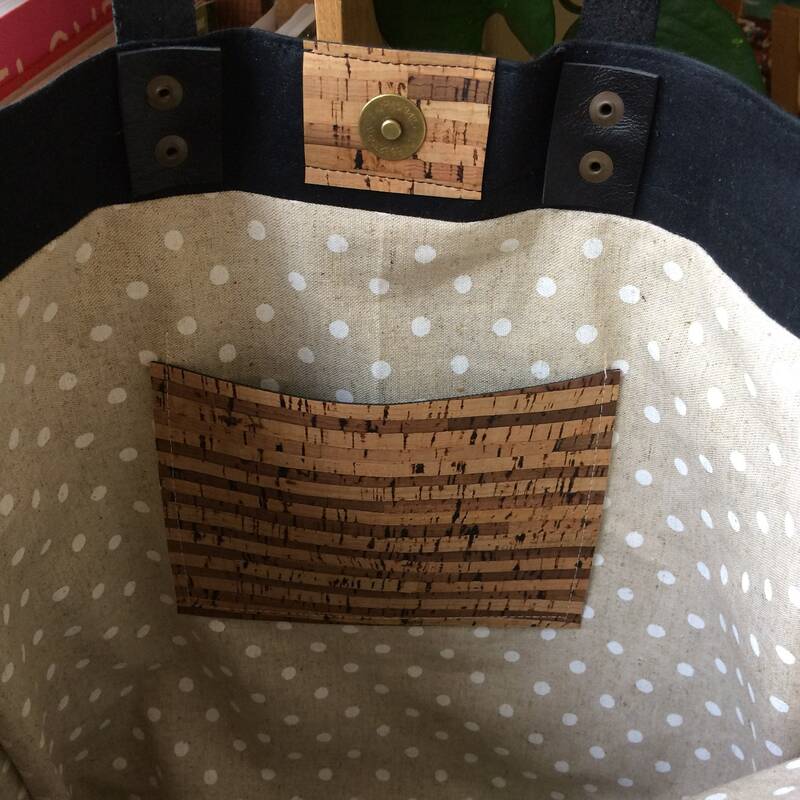 Oversized 5”x6” cork fabric pocket.